Narragansett Bay and the waters around Newport, RI, are split into two pieces: The East and West Passages. The East Passage is the gateway to Newport from the Atlantic Ocean. The East Passage winds its way between Newport and Beaver necks, and then past Fort Adams and Bull Point into Newport Harbor. 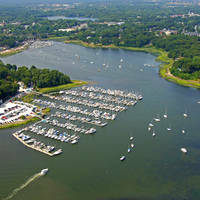 Newport is 60 miles south of Boston (as the bird flies) and 45 miles west of Marthas Vineyard. Newport is known as one of the biggest yachting centers in the world, and for good reason; there are more than 22 marine facilities and 1000+ moorings in Newport. 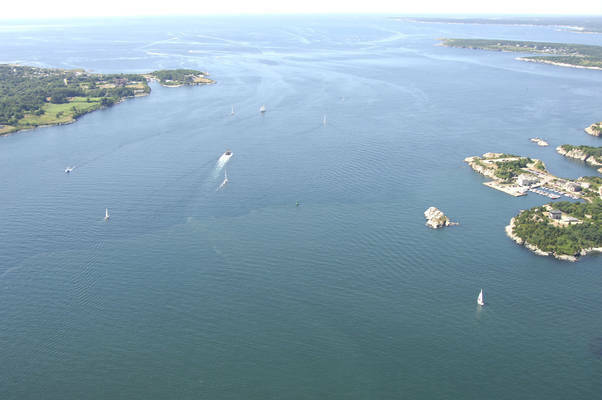 Of those 22 marine facilities, approximately eight of them have slip space for transients, and many more administer moorings in the southern and northern parts of the harbor. Ashore you will find shopping, provisioning possibilities, places for historic exploration and a multitude of dining choices along the waterfront. Use NOAA Charts 13205 and 13221. From the Atlantic Ocean, pick up red and white buoy NB (flashing red), and then set a course for quick flashing red buoy 2, which marks Brenton Reef just south of Brenton Point on the Newport Neck. As you work your way in toward the East Passage and Newport, keep red gong buoy 4 and red bell buoy 6 far to port, as they mark several more rock ledges working out from Newport Neck. Further guidance is provide by Castle Rock Light on the extreme west end of Newport Neck. 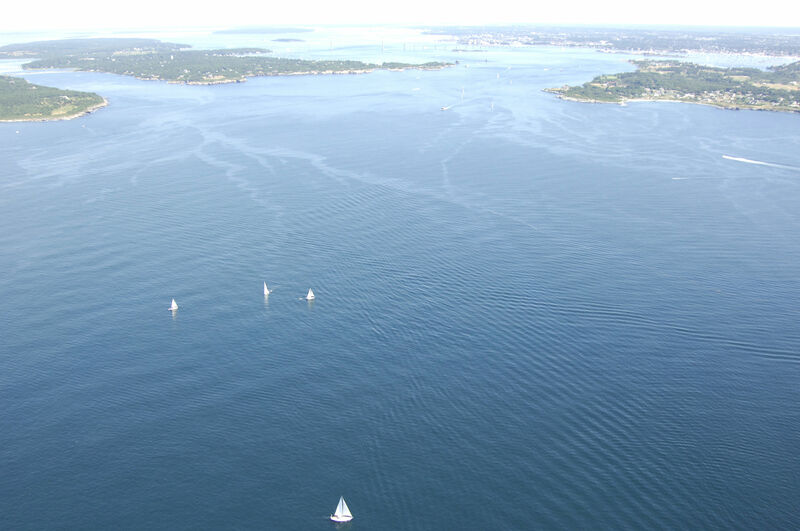 From Castle Rock Light, you can follow the shore (at a distance) toward the light at Fort Adams and on into Newport Harbor. On the west side of the passage, keep an eye out for, and honor flashing green gong buoy 7 and flashing green gong buoy 9 at Bull Point. 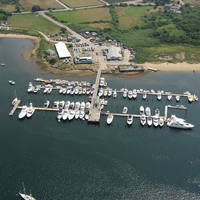 Inside Newport Harbor you will find just about every type of facility imaginable from small mooring fields to major yacht facilities that can handle megayachts. No reviews yet! Be the first to write a review of East Passage Inlet.